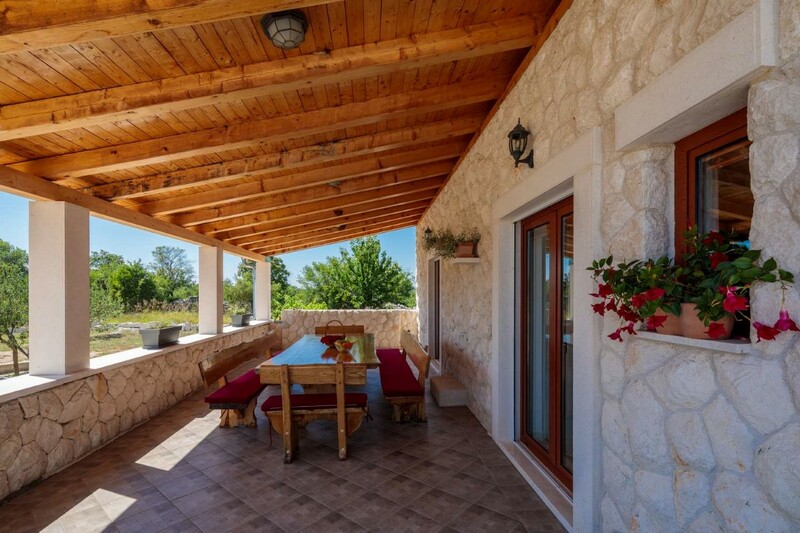 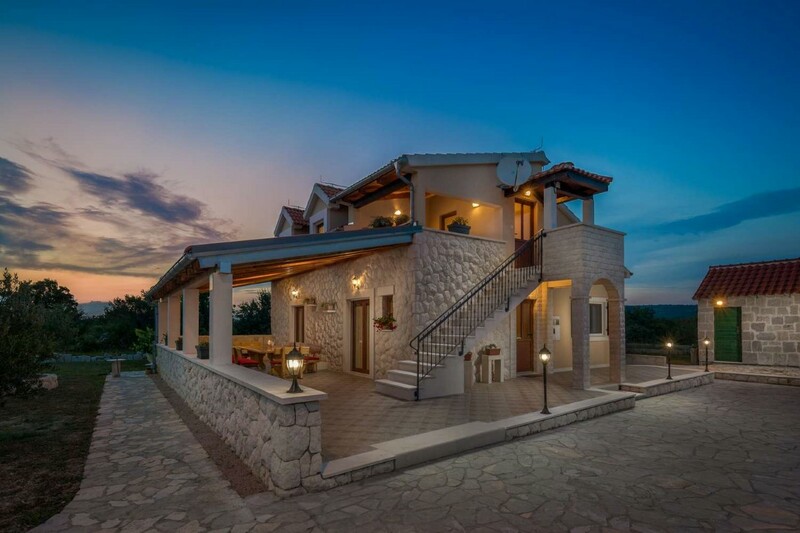 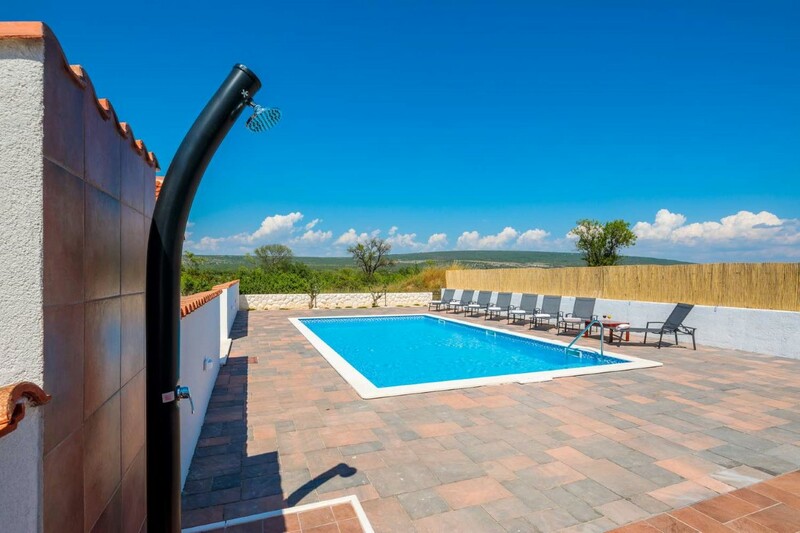 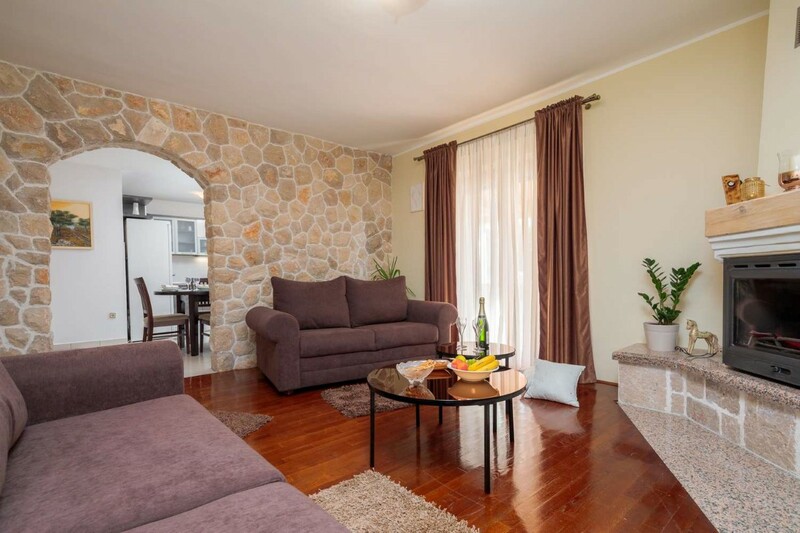 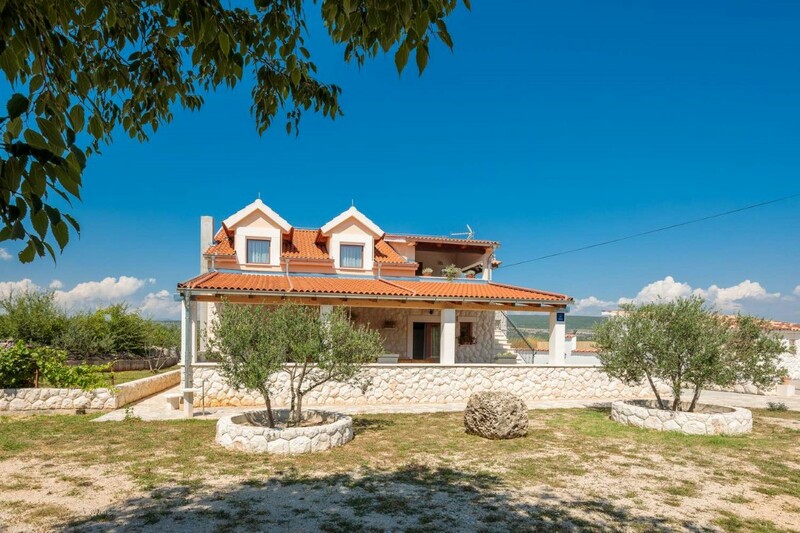 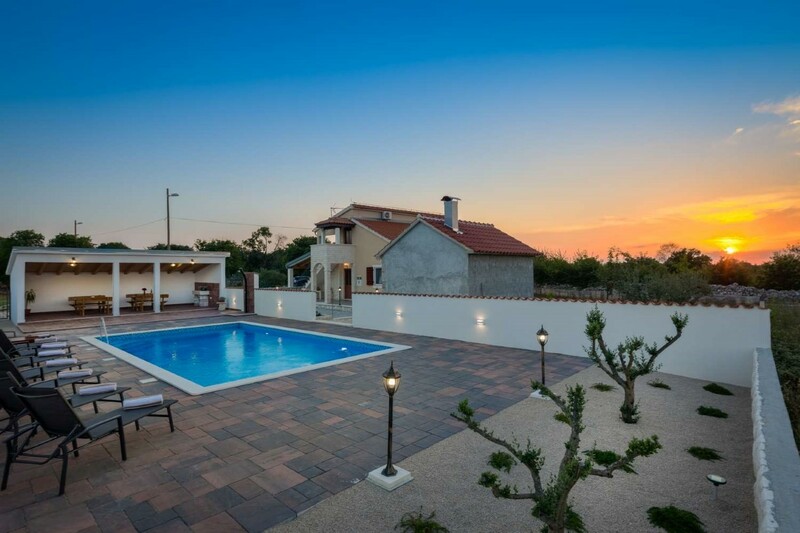 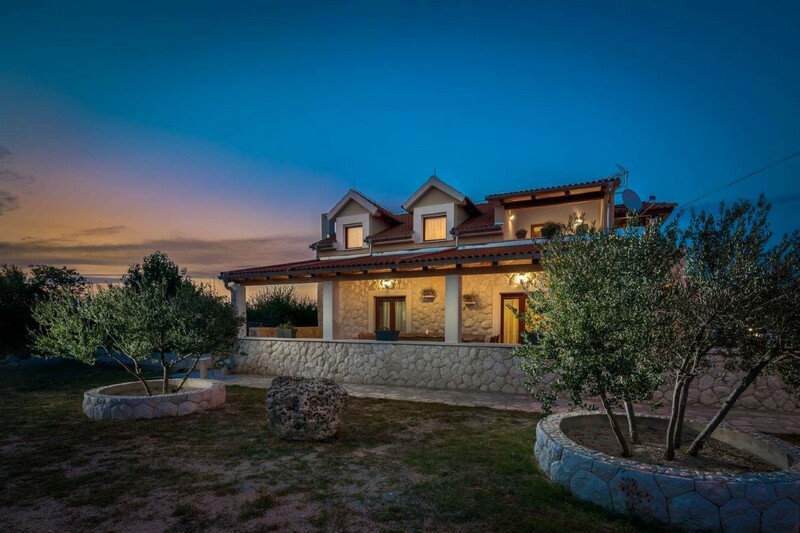 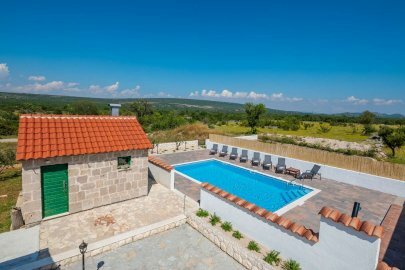 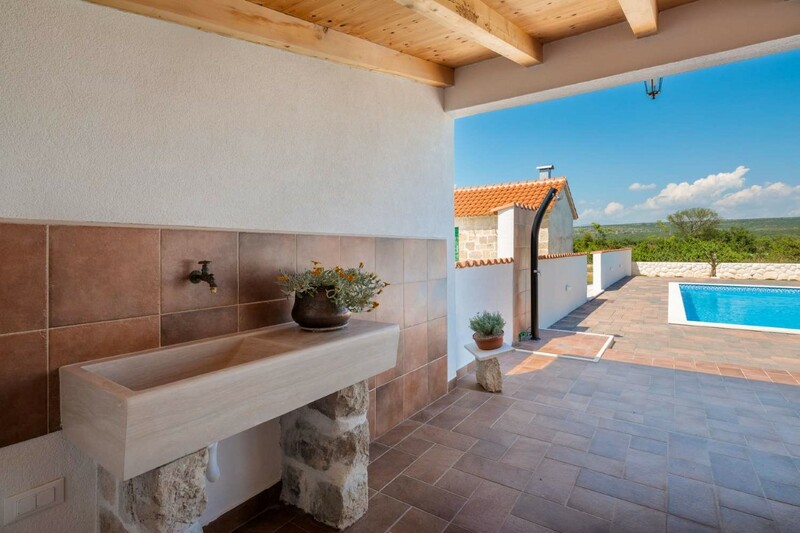 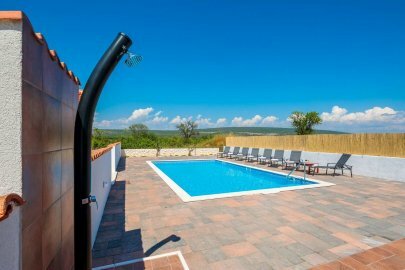 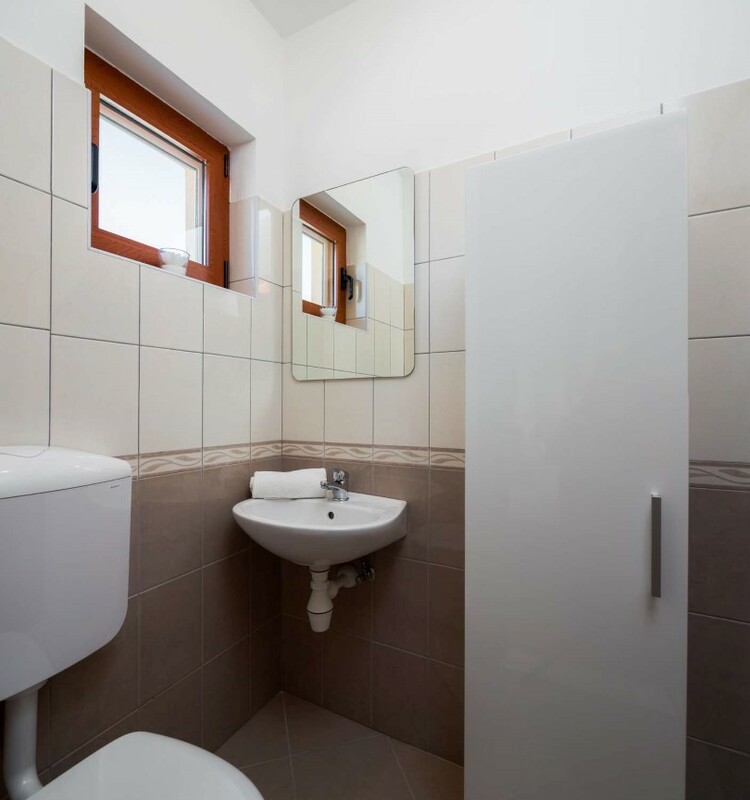 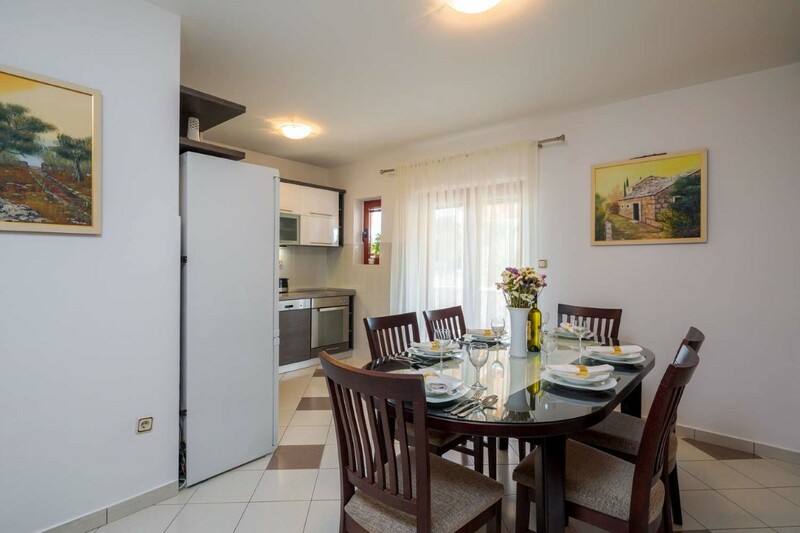 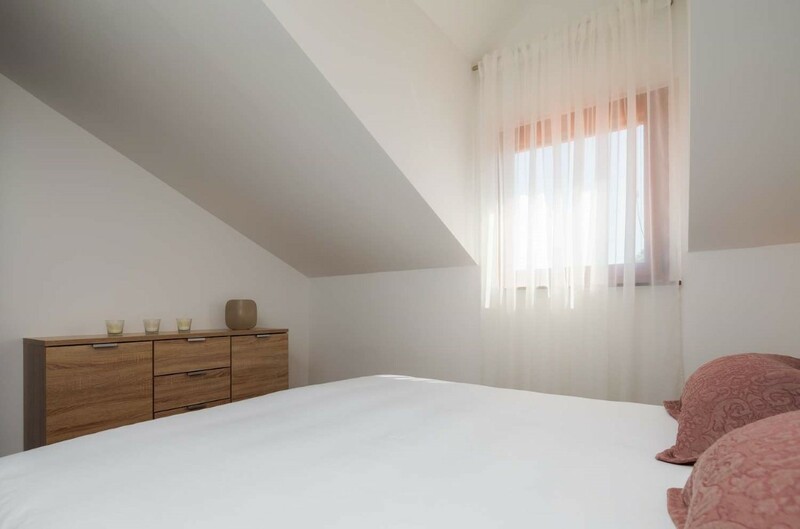 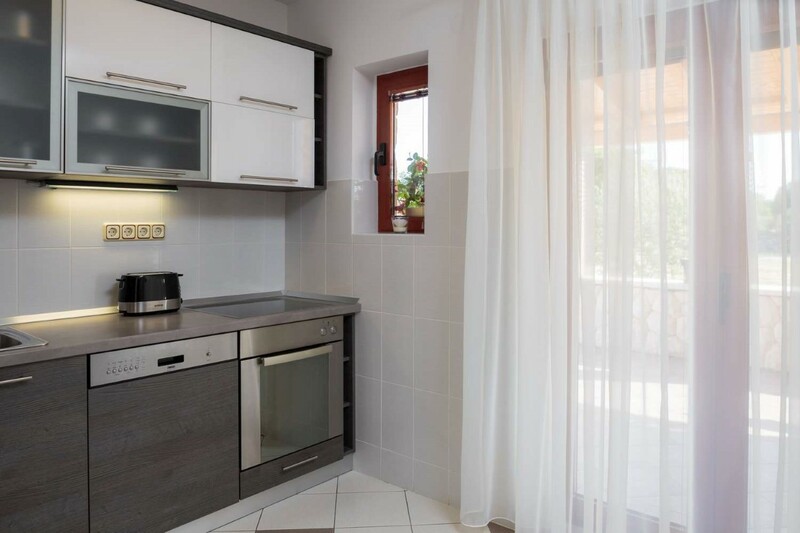 Villa Dalmata enjoys a peaceful position in the quite village Radonić just a few minutes away from the beauties of the National park Krka. 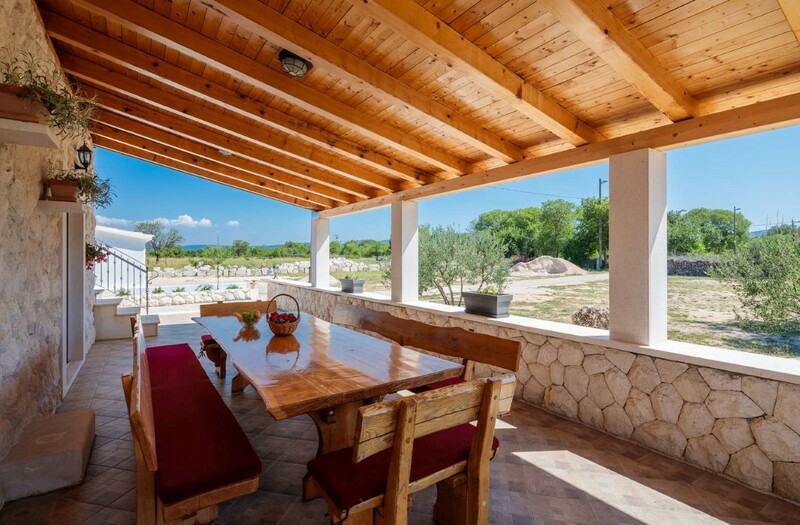 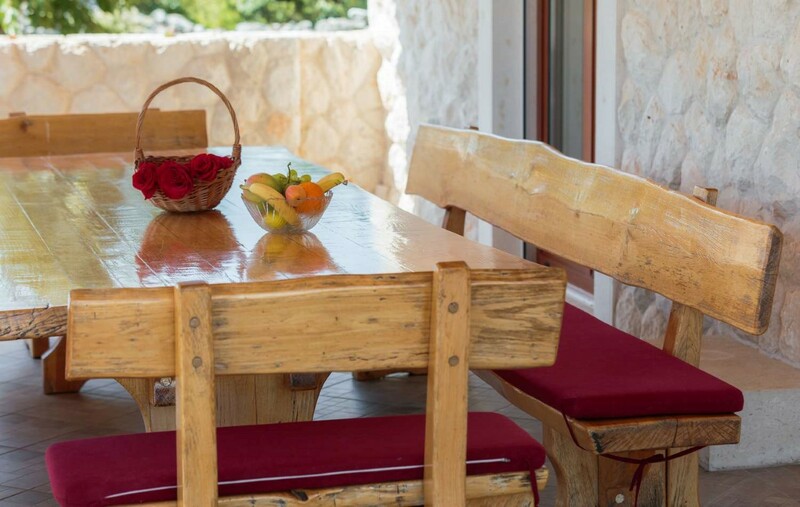 Suitable for up to nine guests, Villa Dalmata offers the perfect balance of the indoor and outdoor living. 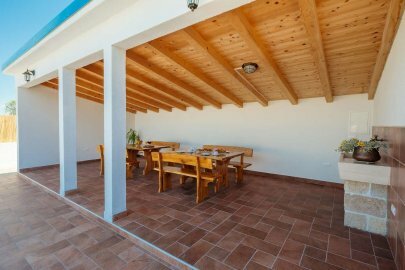 The whole of the interior splits over two floors with a large open kitchen and living area spreading over the ground floor. 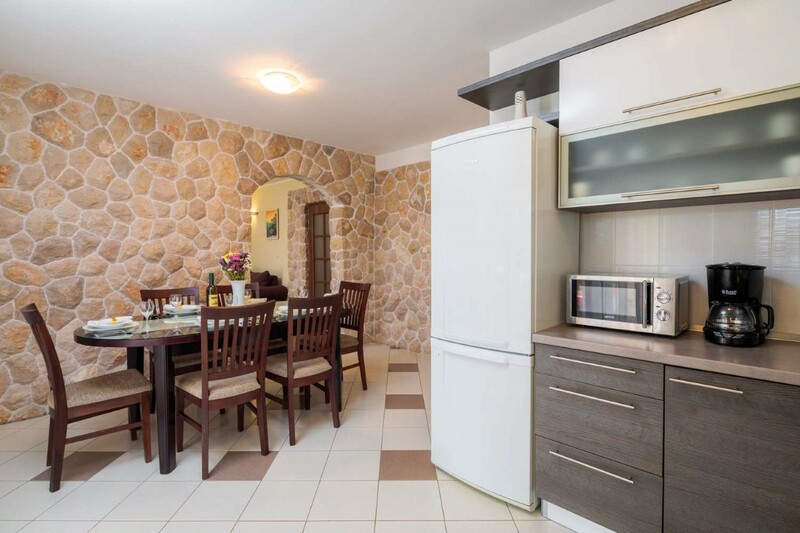 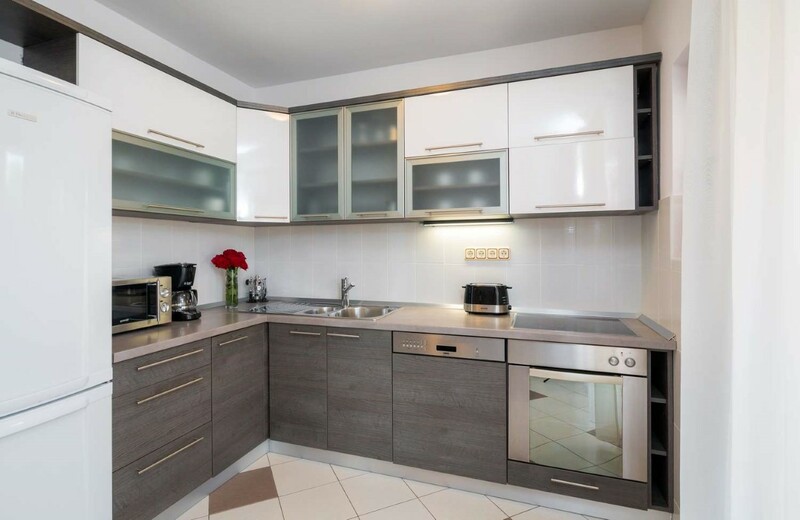 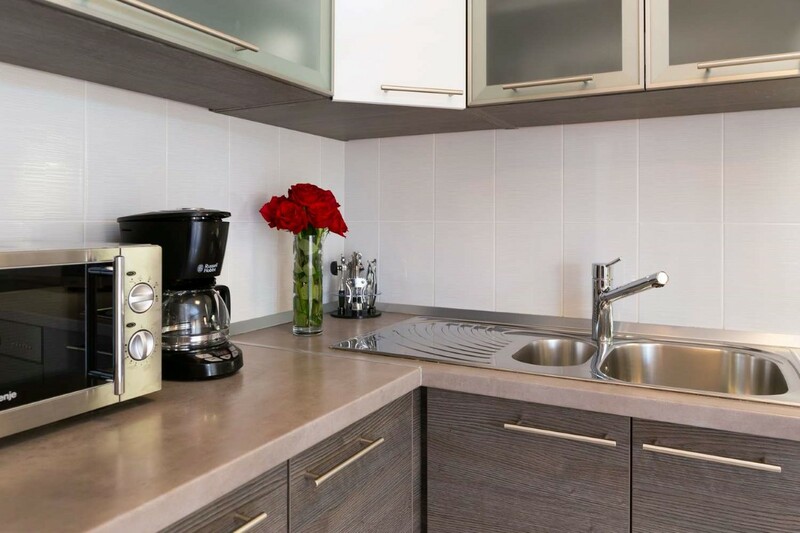 Inside is a kitchen kitted out with all modern appliances, updated but still retaining a traditional feel. 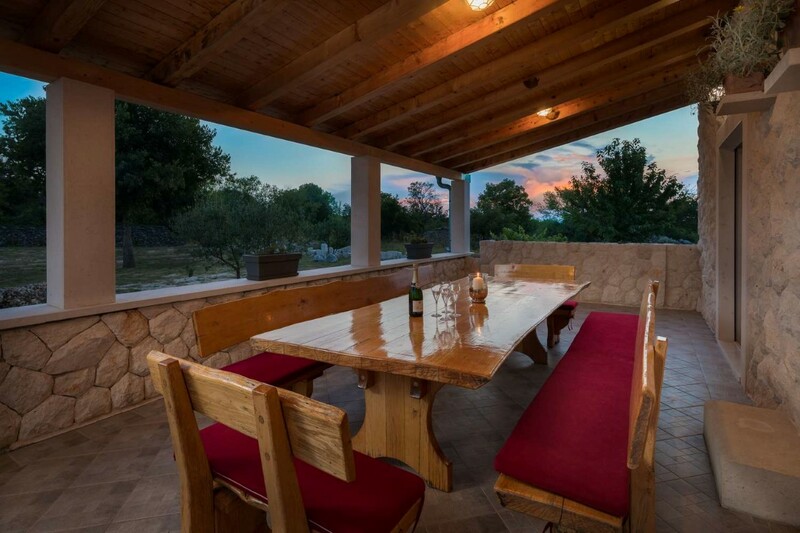 The dining area looks out on to the garden and features a fireplace and comfortable seating. 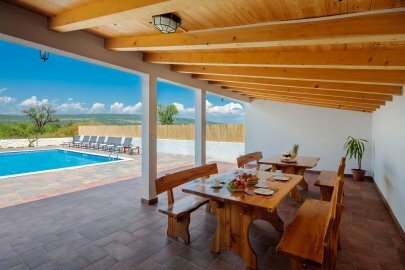 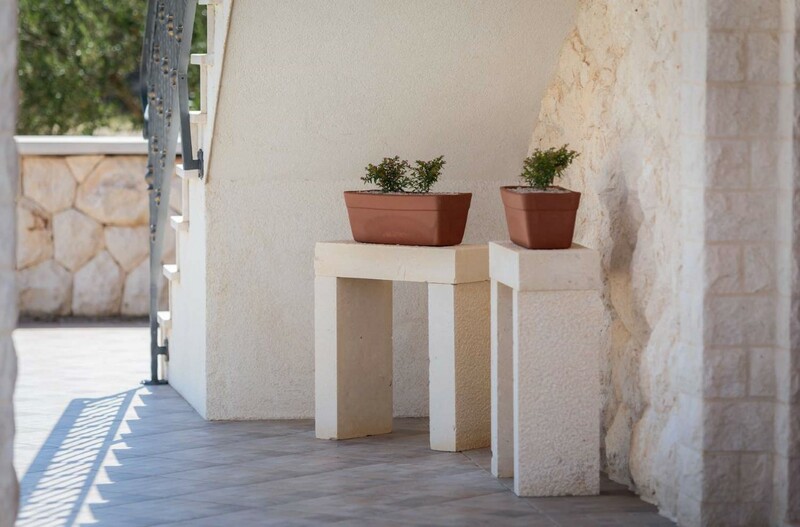 Beautiful terraces can be found on both floors of the villa enjoying fine countryside views too. 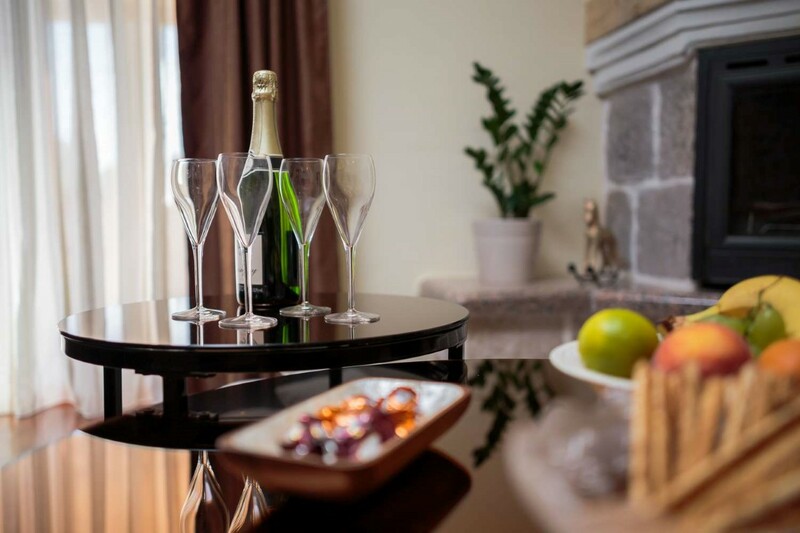 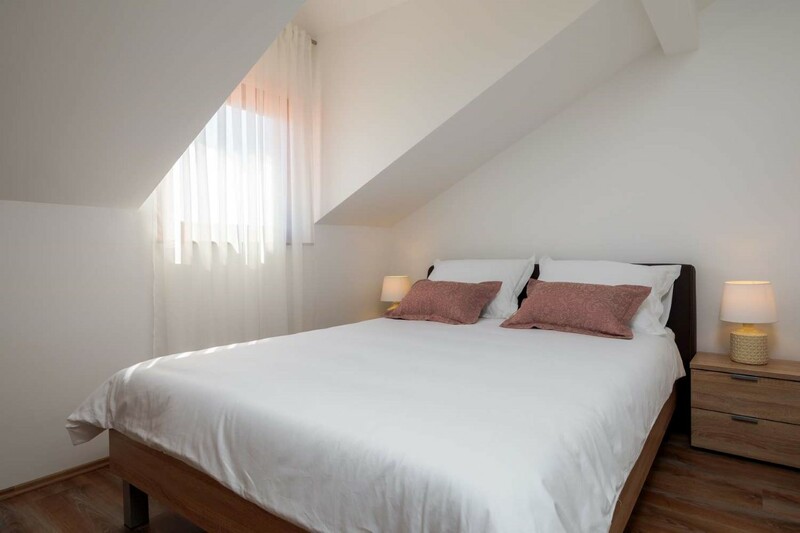 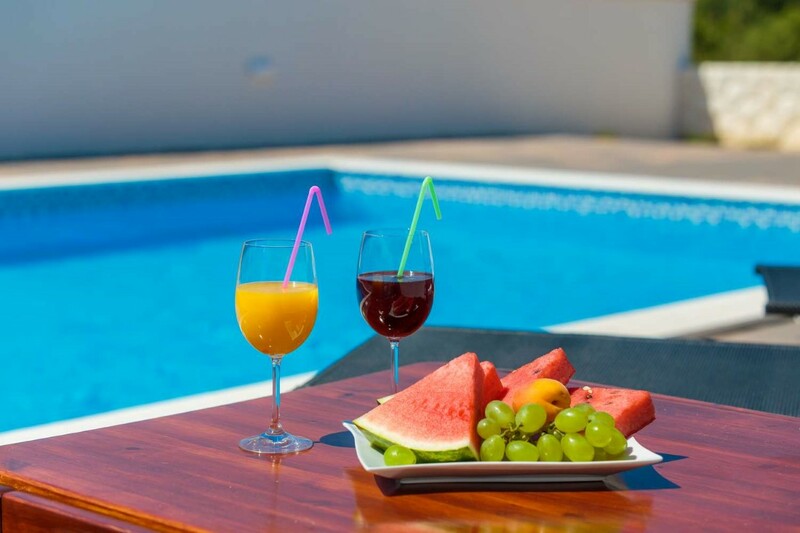 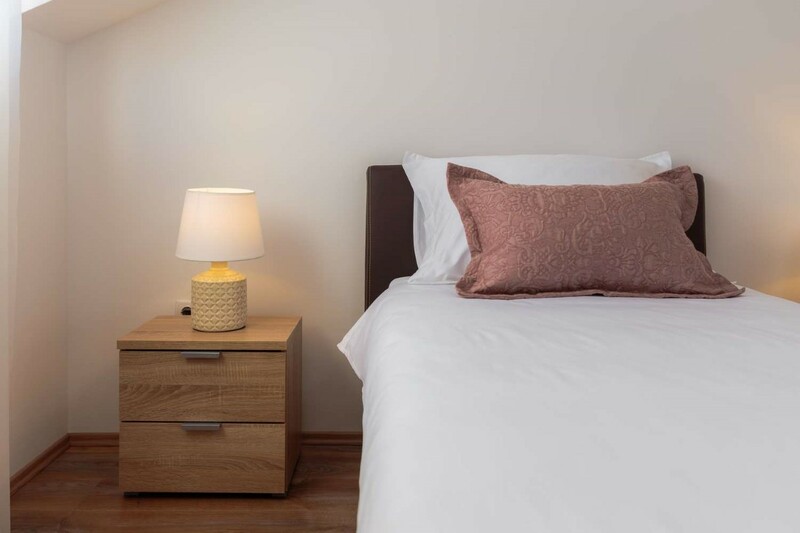 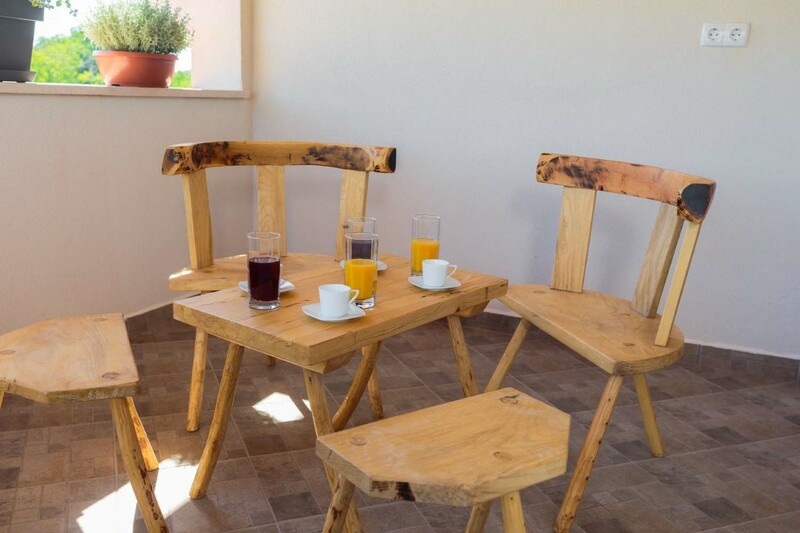 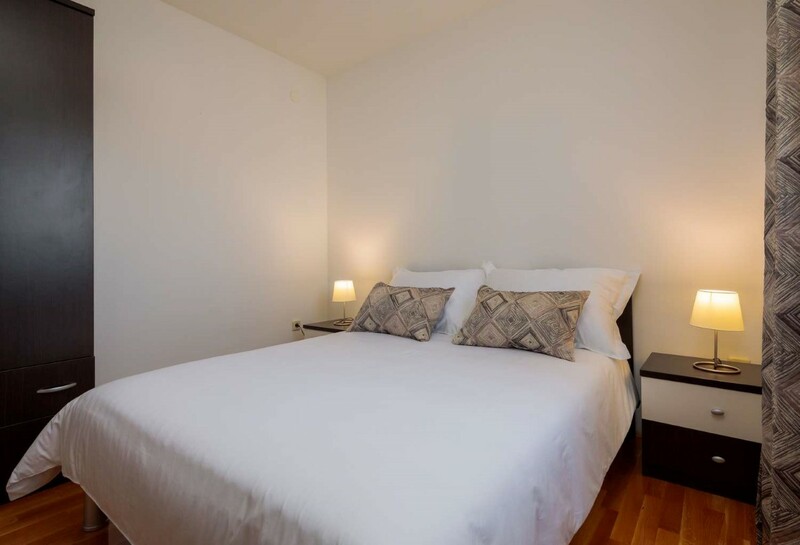 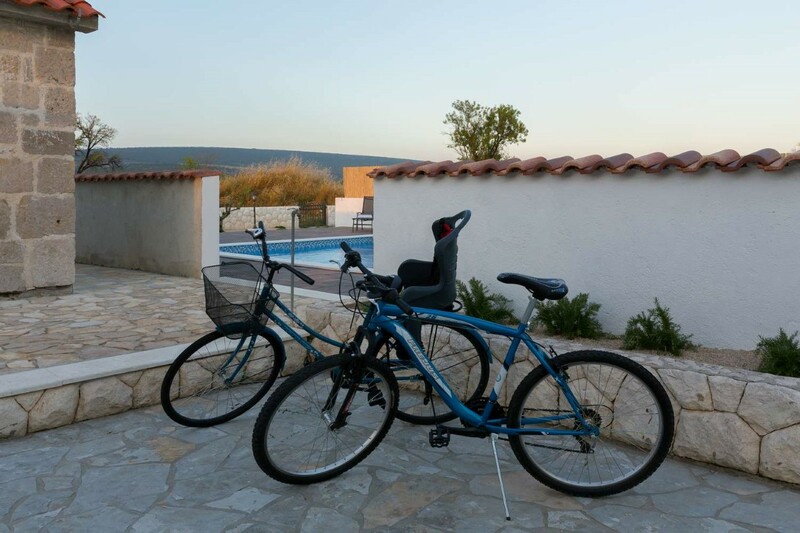 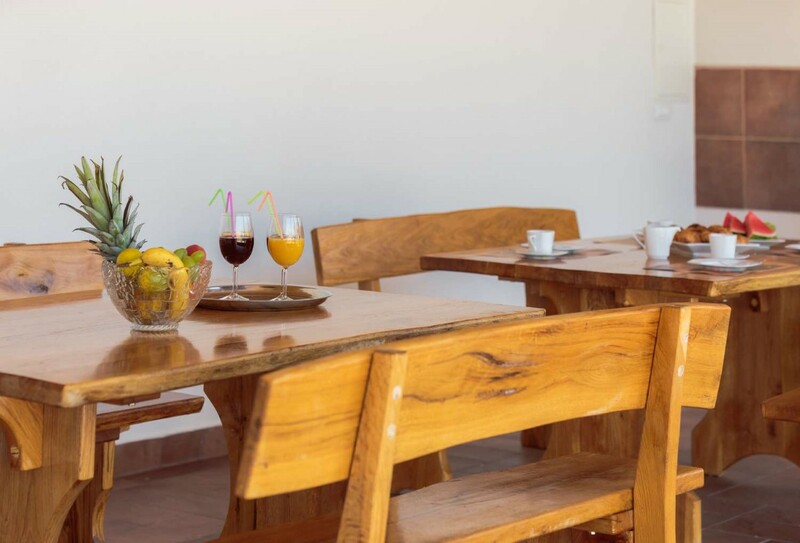 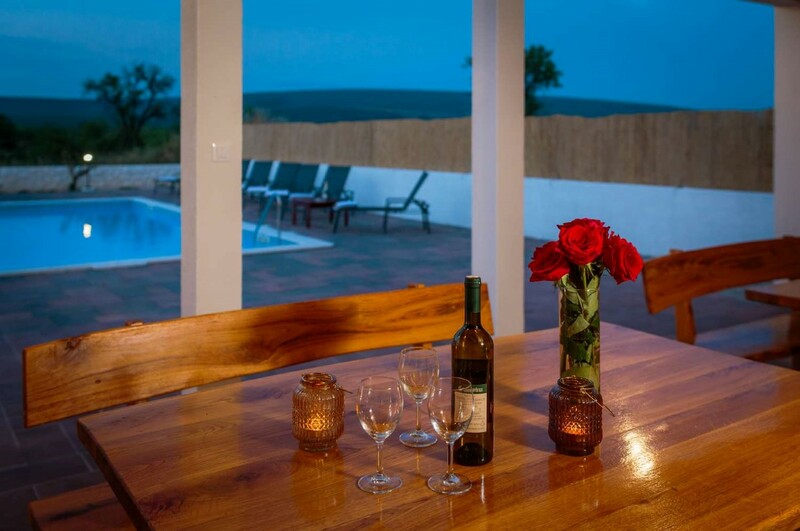 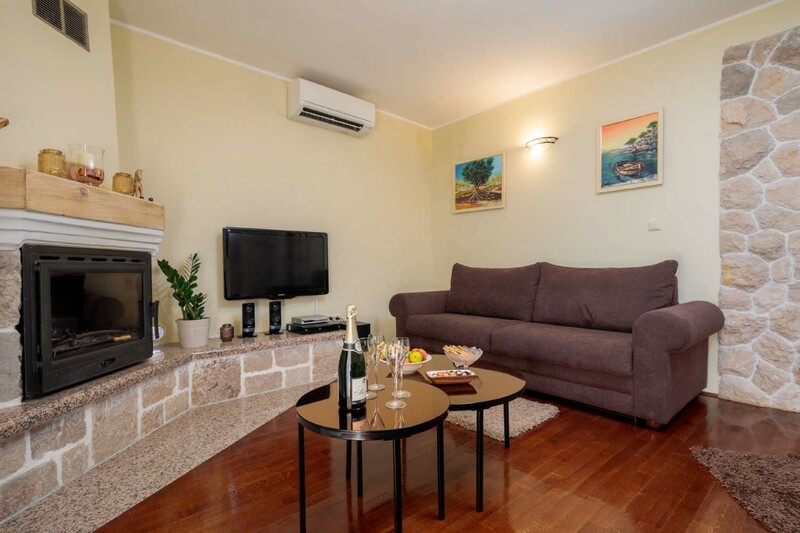 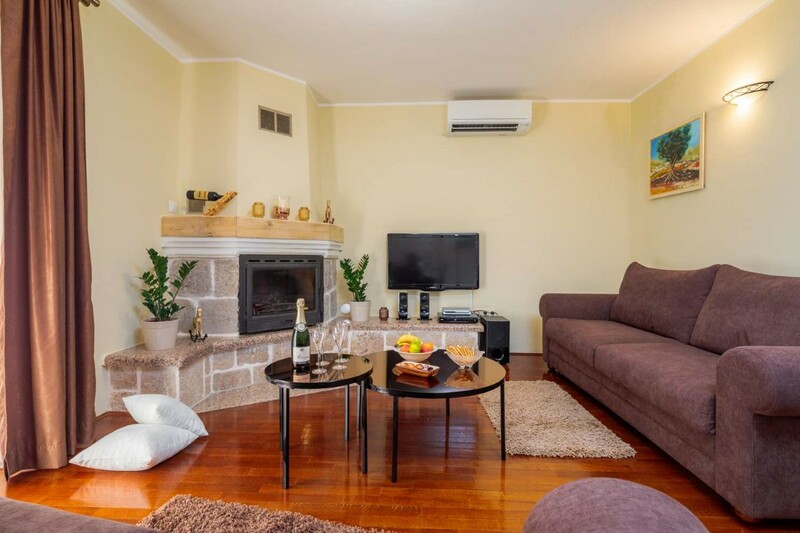 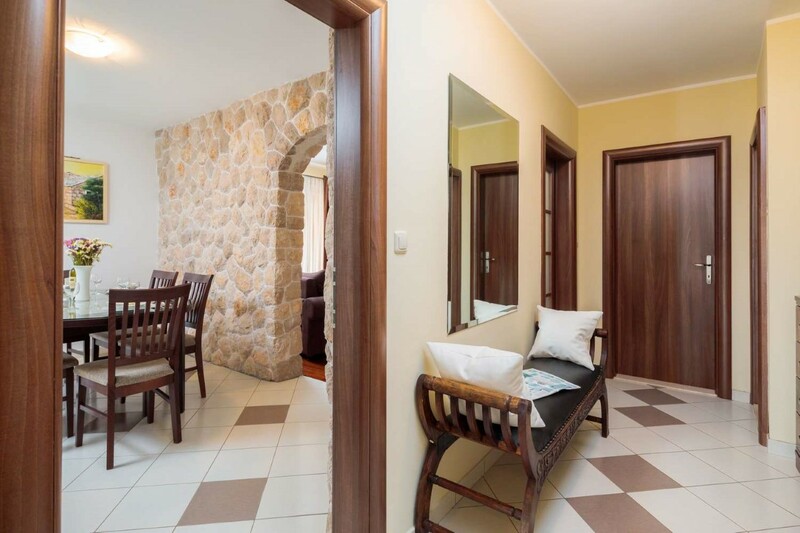 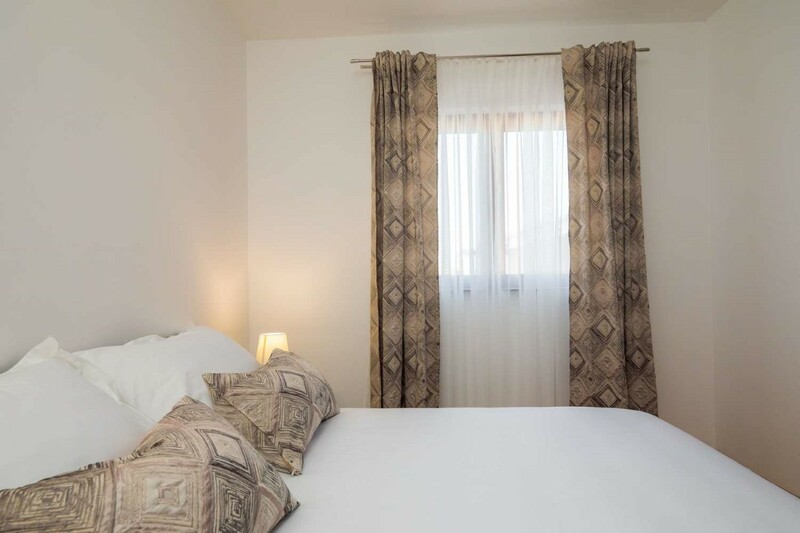 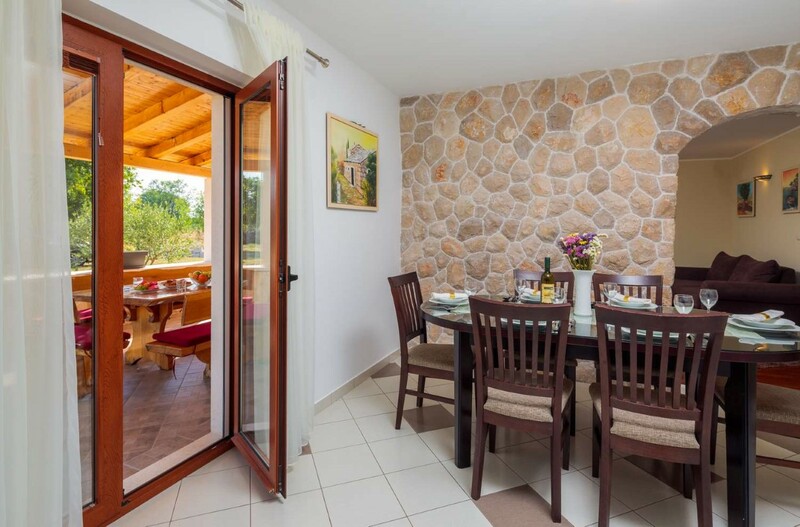 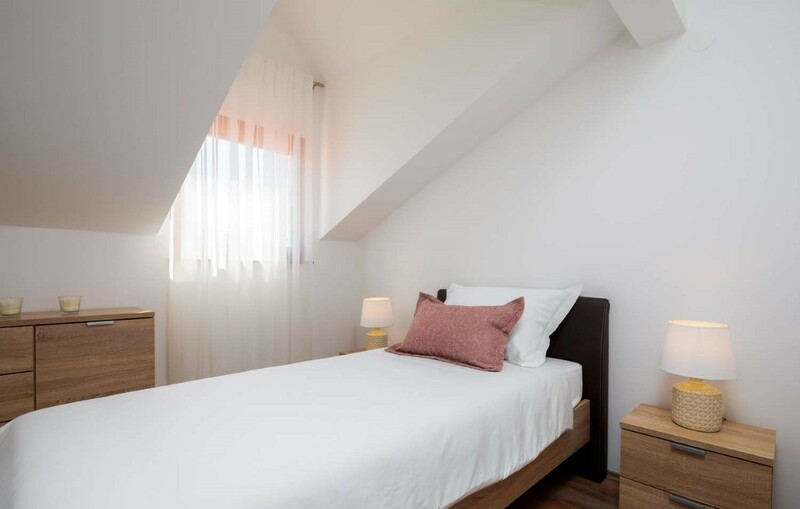 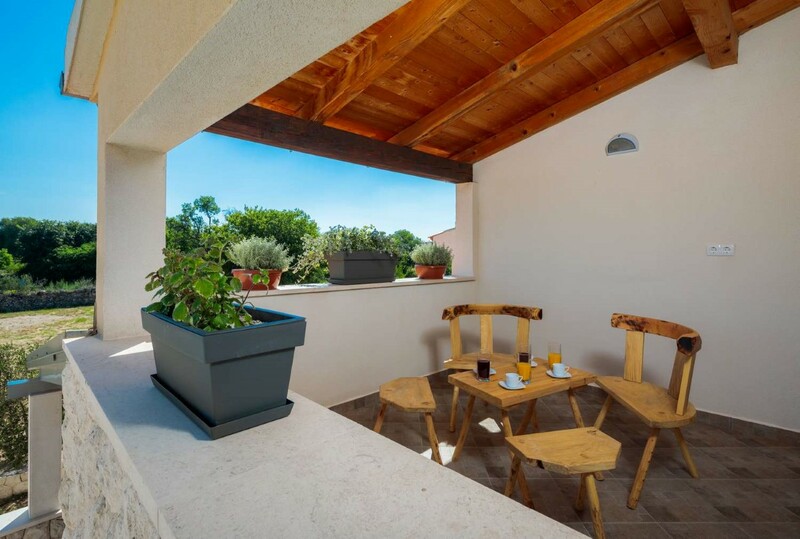 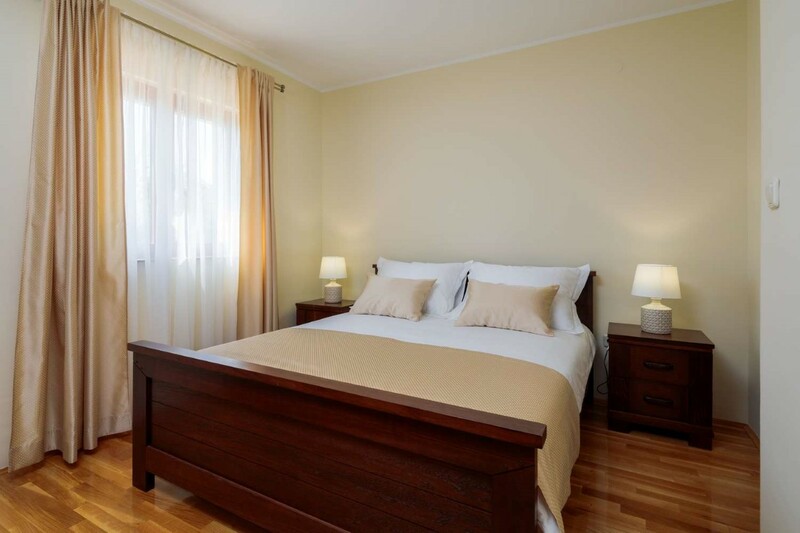 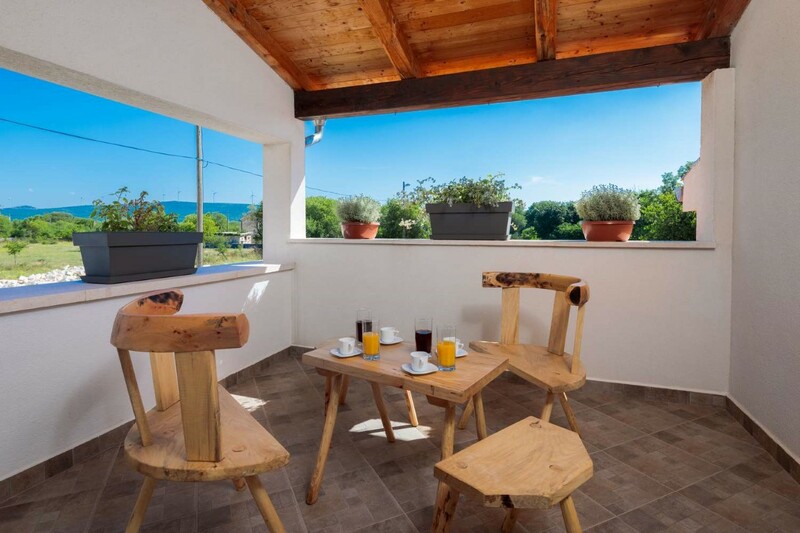 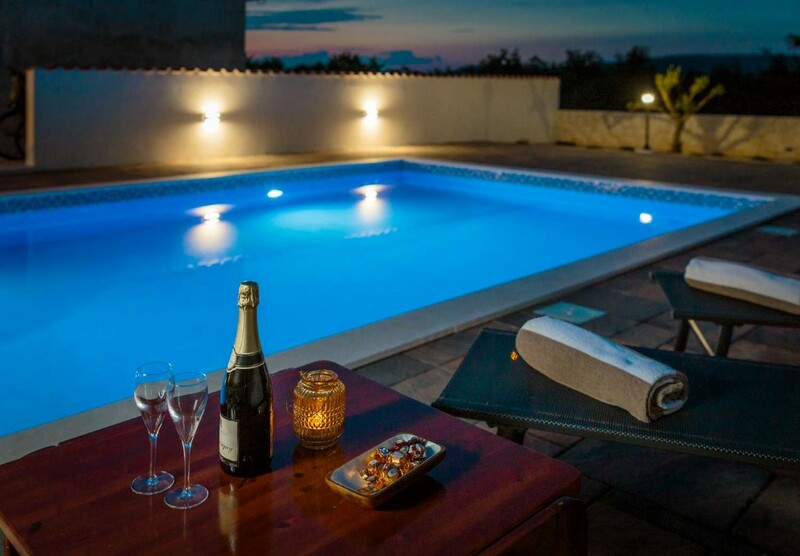 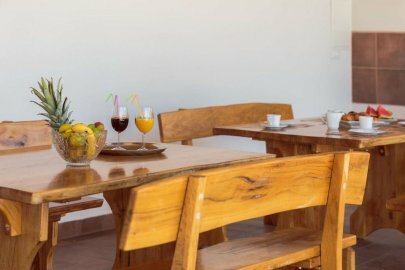 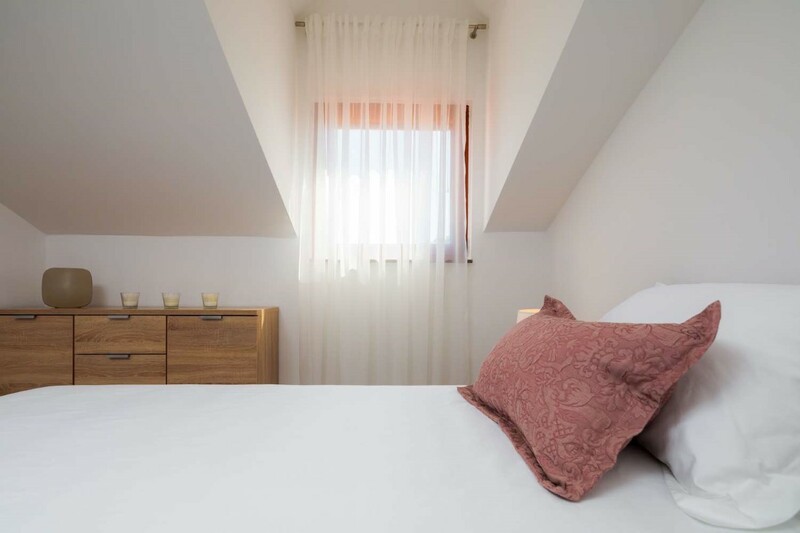 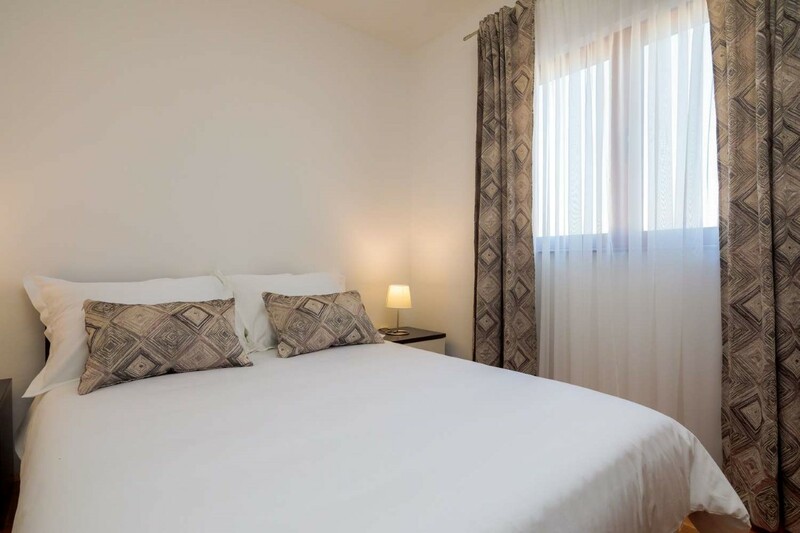 Family villa Dalmata has three modern double bedrooms, one having one extra single bed. 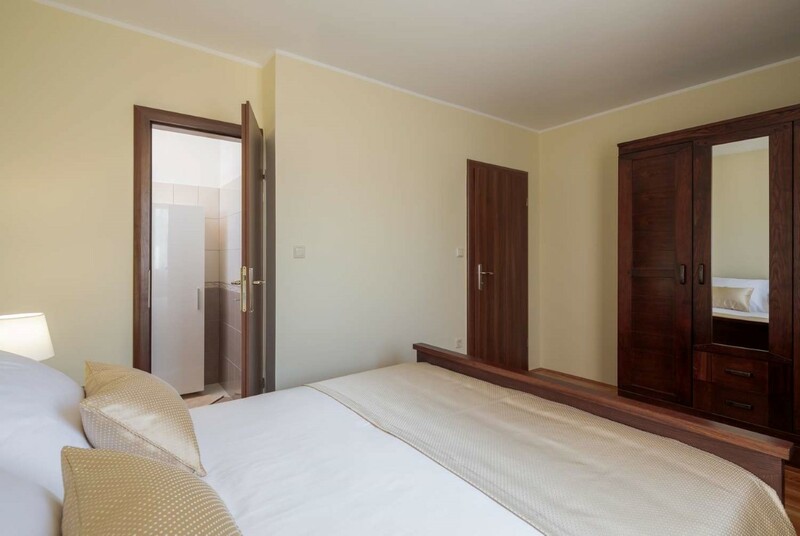 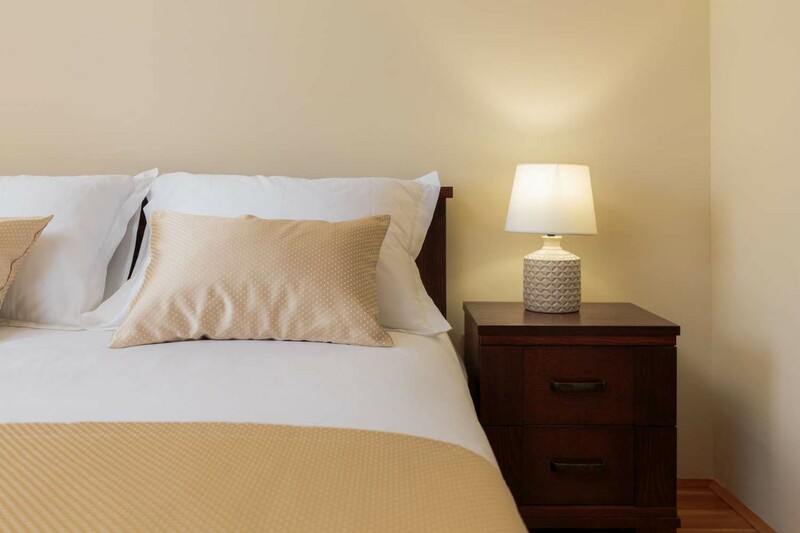 The fourth bedroom has one single bed. 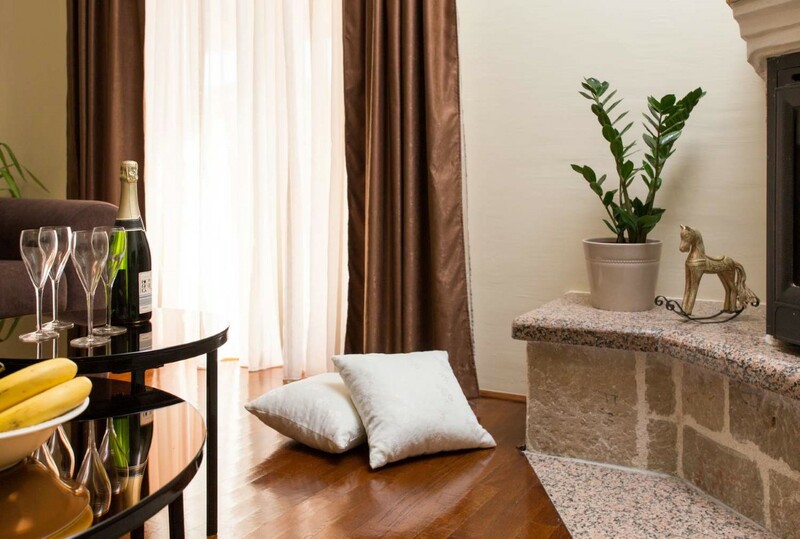 At guests disposal there is a sofa bed in the living room. 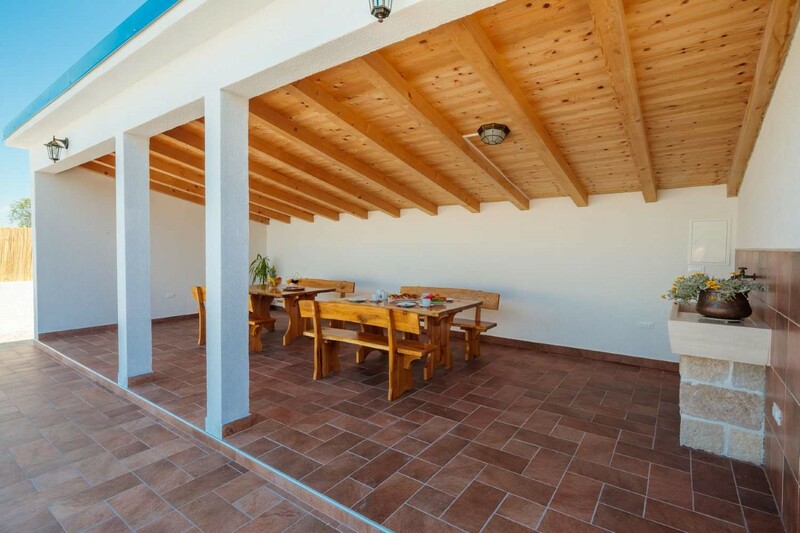 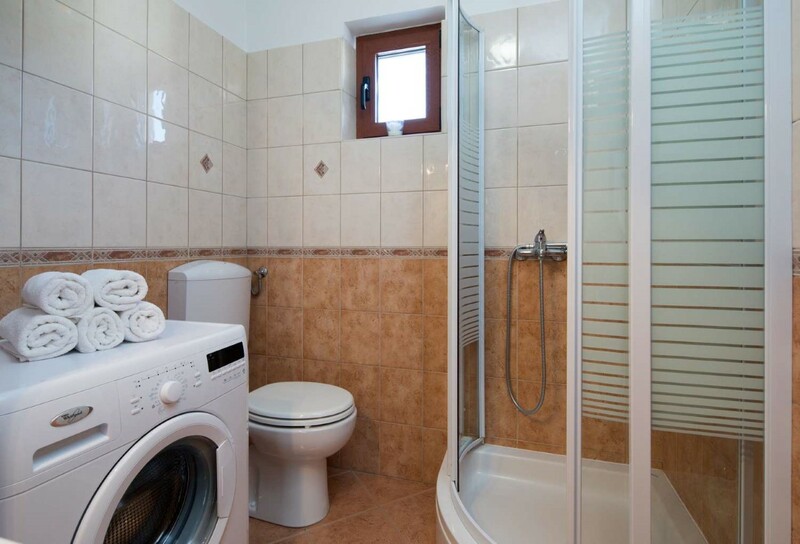 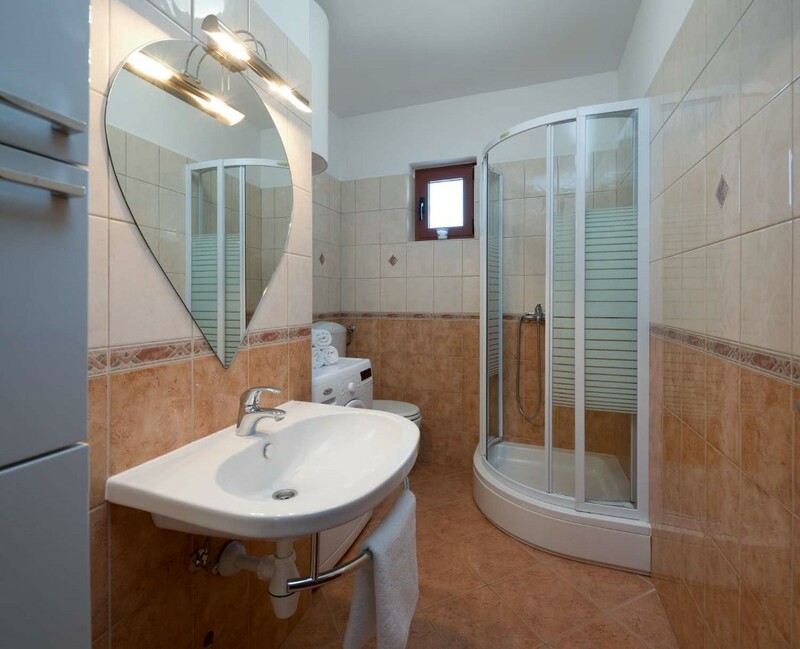 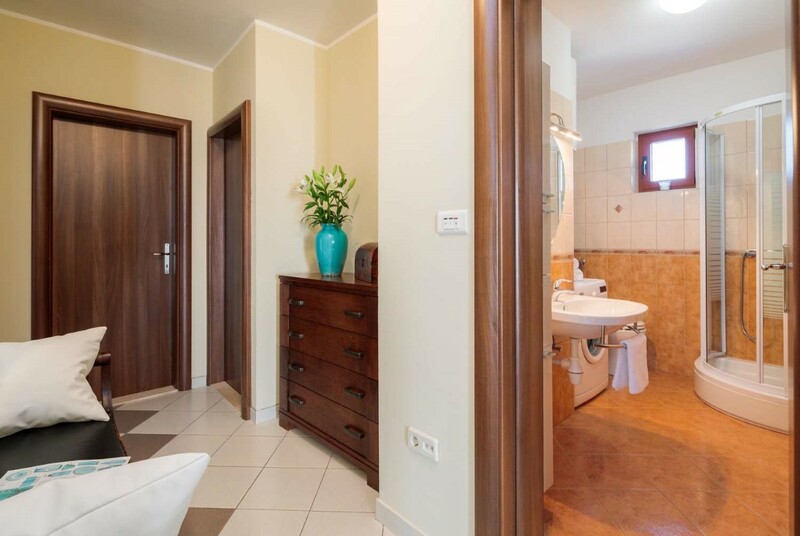 In total, the villa features four bedrooms, two bathrooms and a toilet. 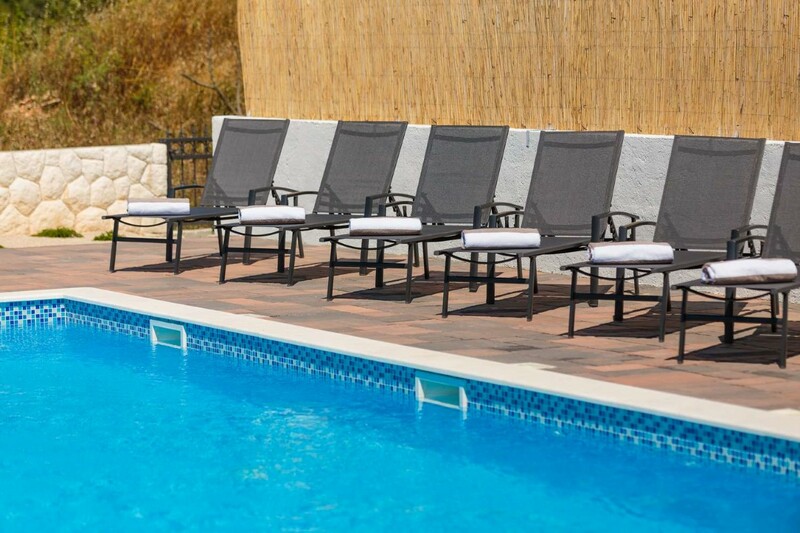 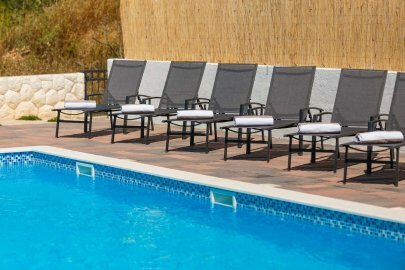 On the outside, the swimming pool takes the centre stage surrounded by sun loungers and a fantastic barbecue area making it an ideal spot to sit and relax, enjoying a traditional meal in a covered dining area. 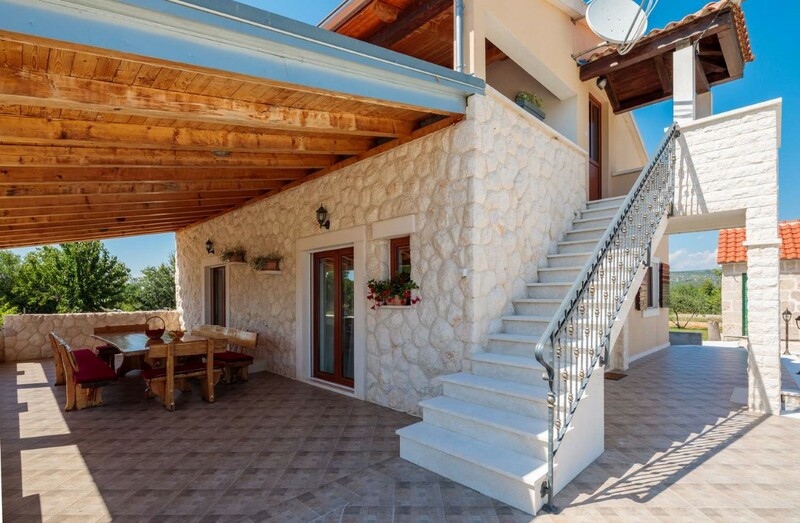 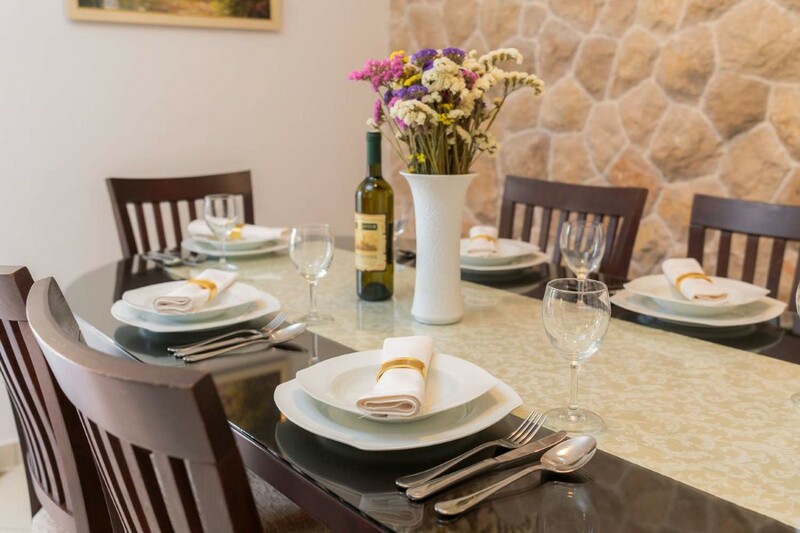 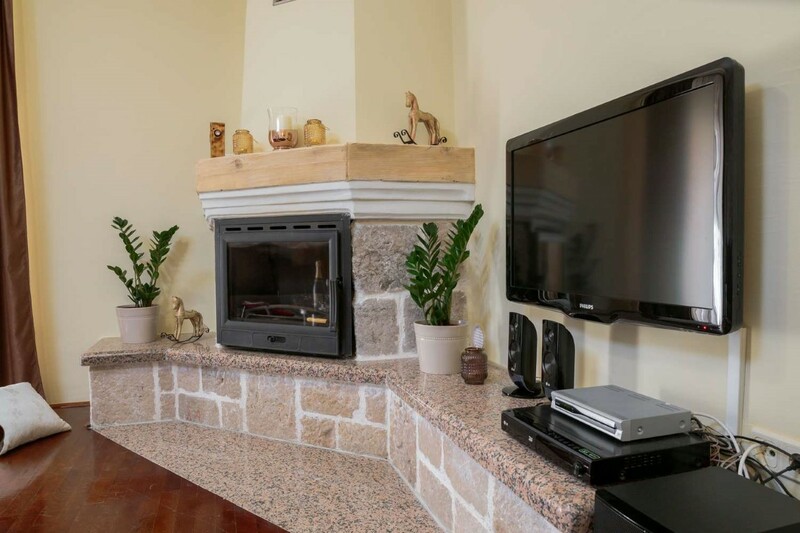 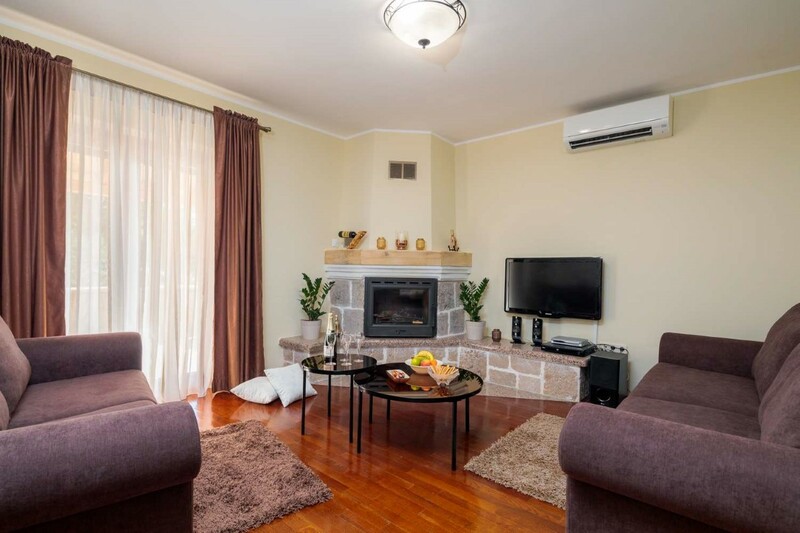 Villa Dalmata is air conditioned, has Wi-Fi access and a private parking. 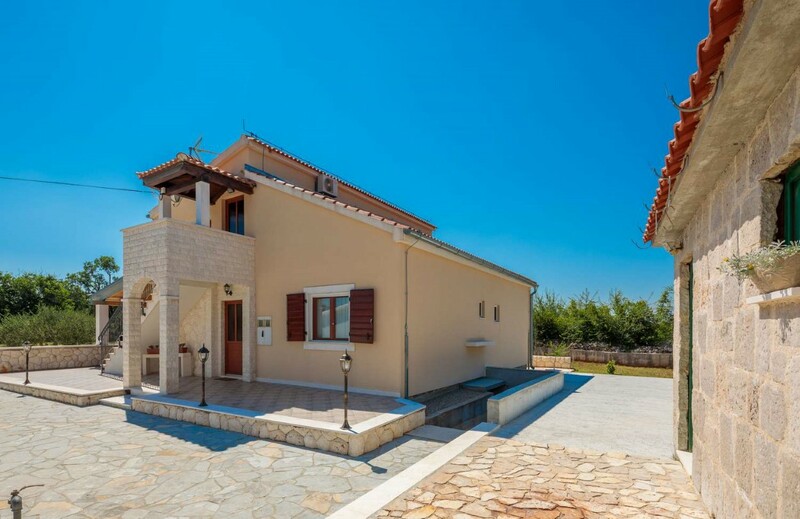 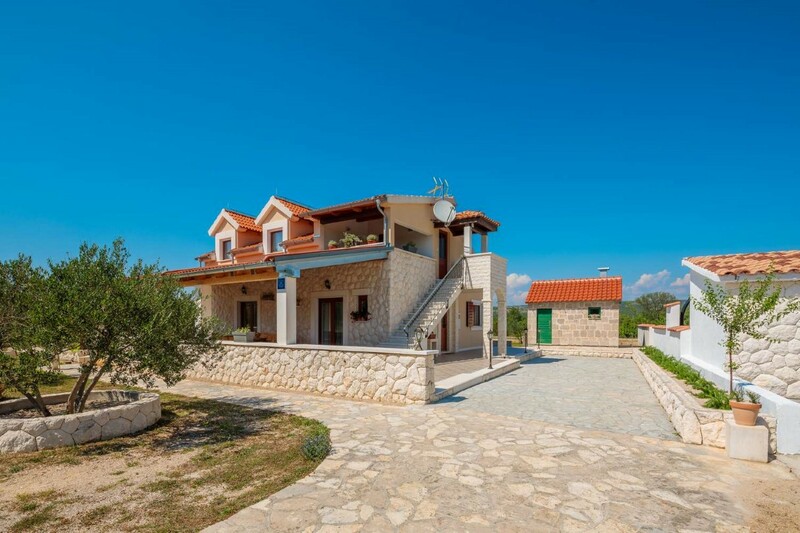 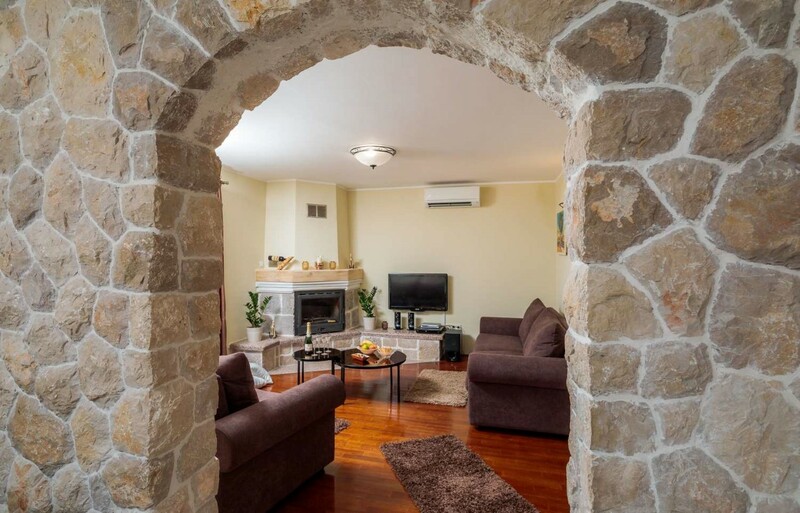 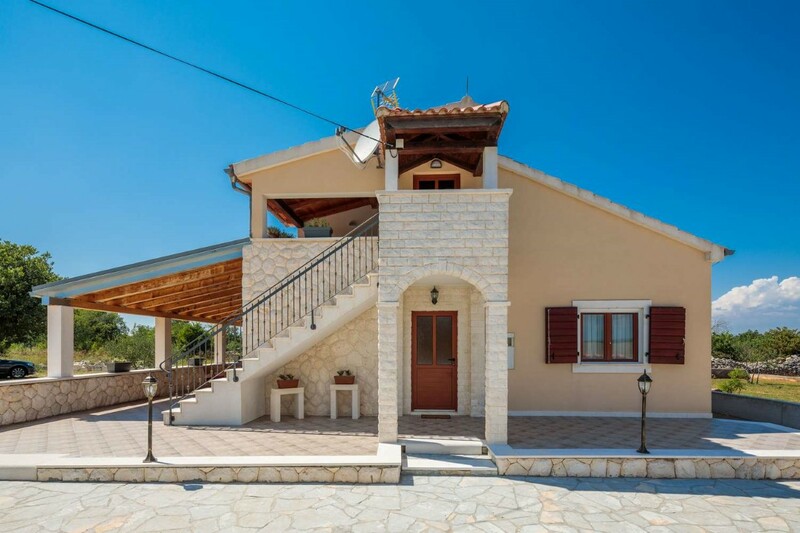 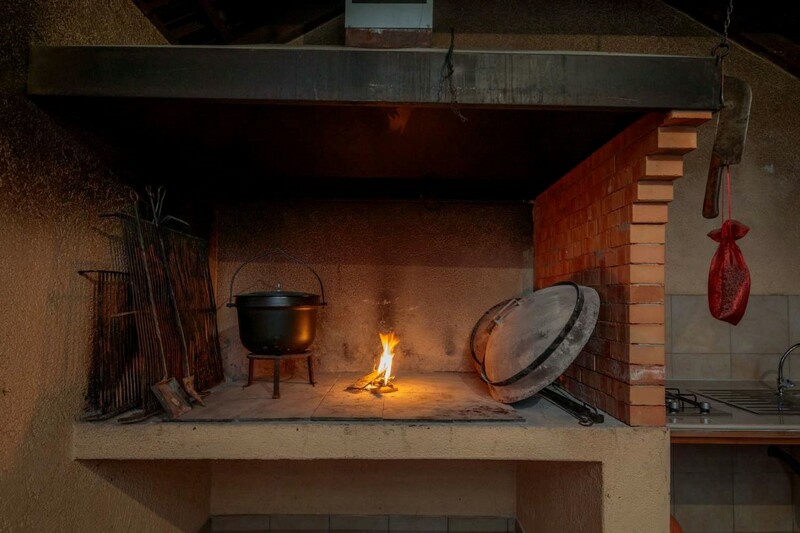 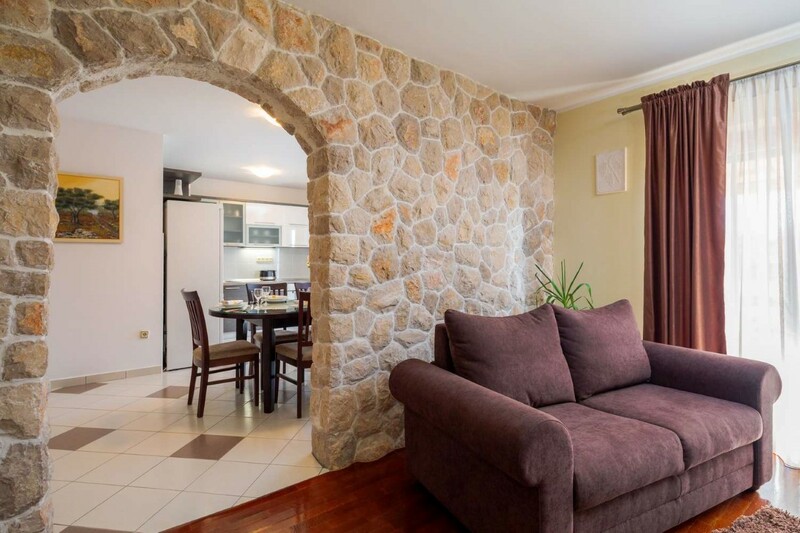 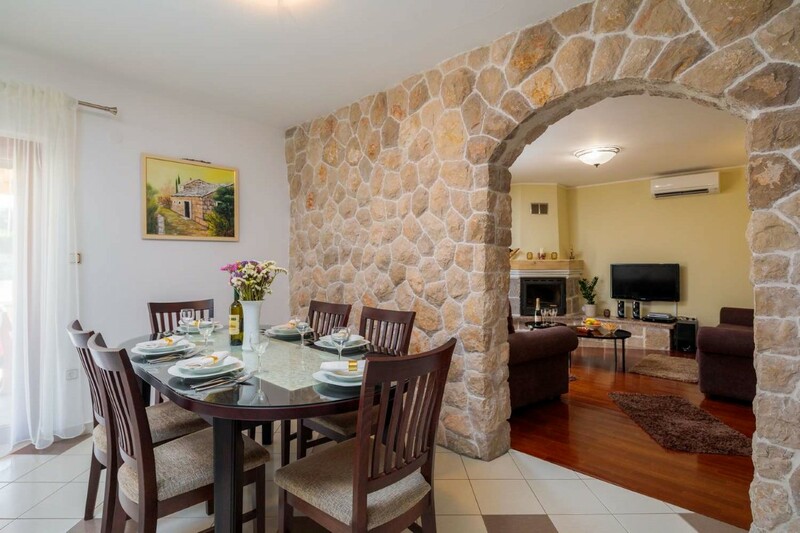 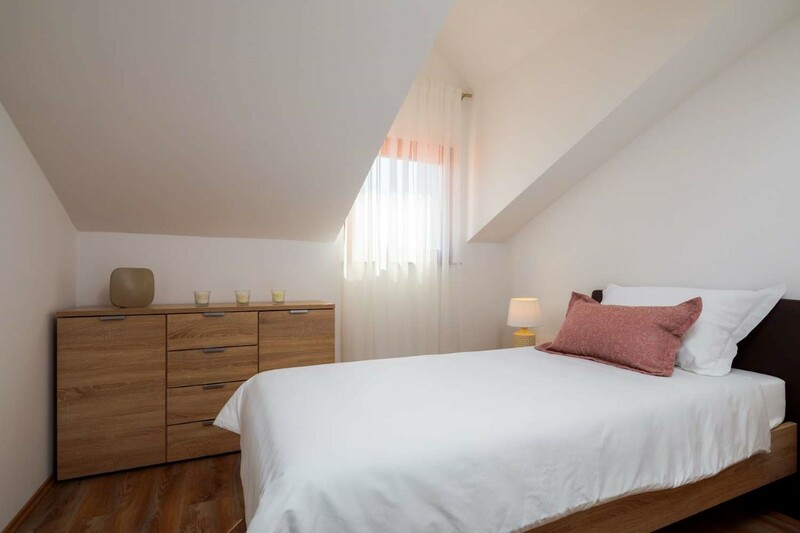 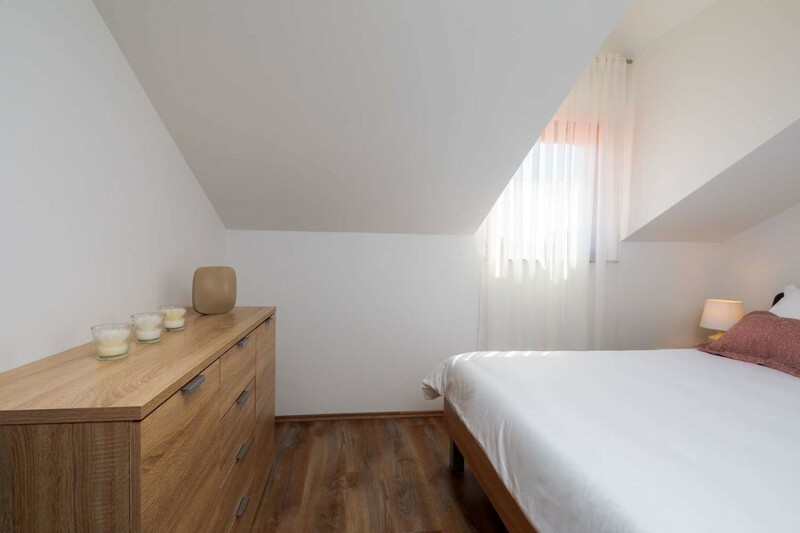 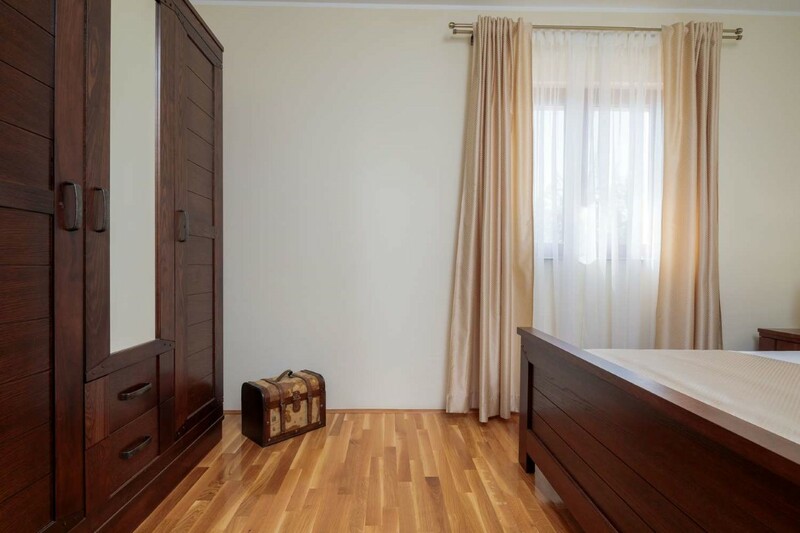 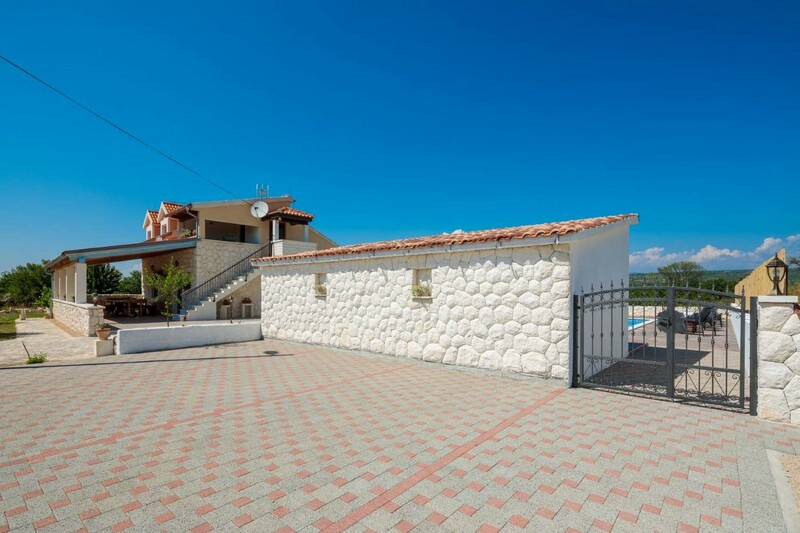 This charming house is ideally located for exploring the surrounding area. 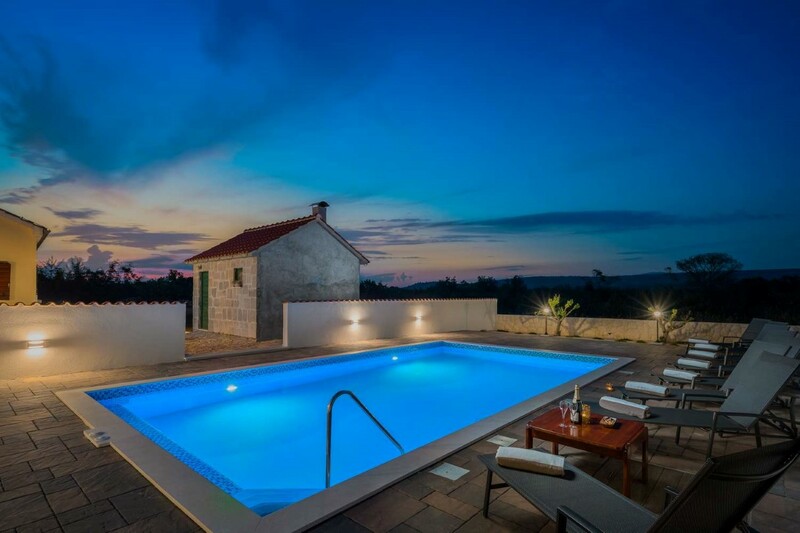 Something certainly worth visiting is the picturesque town of Skradin, the cultural diamond Šibenik as well as the National park Krka and Kornati.